One listen and it's immediately clear that The Brevet have undergone a dramatic evolution on their explosive, ambitious new album, LEGS. Synthesizing the raucous energy of their live show with sonic precision of their extensive studio history, the collection is the California five-piece's most deeply personal and lyrically sophisticated yet, tackling perception and identity in the digital age with both subtle nuance and blunt force. The songs remain as cinematic as ever, full of rousing choruses and sing-along hooks, but they carry more weight here, propelled inexorably forward by thunderous percussion and blazing electric guita rs that blend rock and roll snarl with R&B swagger. The Brevet's roots stretch back to college, when frontman Aric Chase Damm first began writing scores for student films and discovered he had a knack for crafting the kind of evocative music that yields unforgettable on-screen moments. Those early songs led to a licensing deal, and tracks from the band's two independent albums (2013's Battle of the Heart and 2017's American Novel) would go on to be featured in a wide variety of films and television shows in addition to racking up more than nine million streams on Spotify. 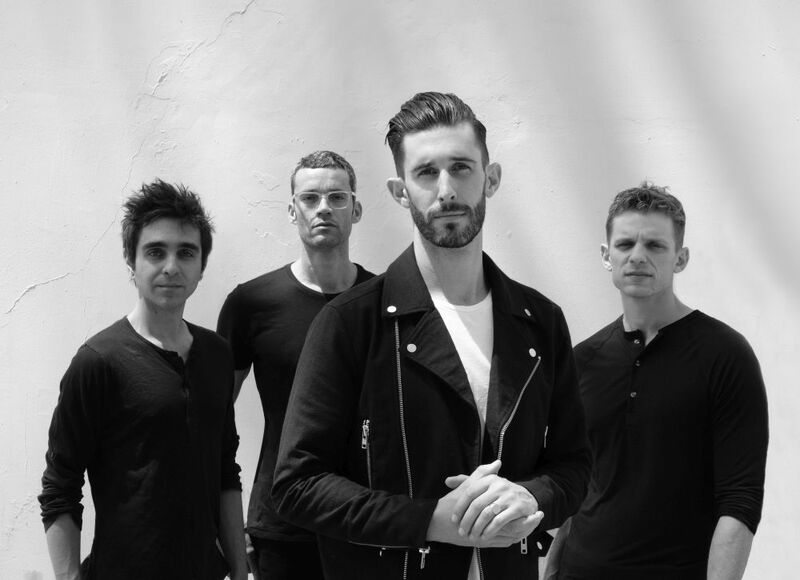 With all of The Brevet's success on-screen and online, the group-Damm, drummer David Aguiar, guitarist John Kingsley, keyboardist Greg Burroughs, and bassist Julian Johnson-was more than ready to get out of the studio and onto the stage. Over the course of the last year, they hit the road for the most intense touring of their career, performing a slew of headline shows alongside support dates with Magic Giant and festival appearances from BottleRock to Firefly. Recorded at the band's own studio in their native Orange County, California, LEGS insists on a relentless optimism, a defiant belief in the power of positivity in the face of darkness and doubt. The album's title actually stands for "Like Every Great Story," and the record indeed contains all the elements of any memorable tale: struggle and success, tension and release, conflict and resolution. Every great story has a hero, after all, and heroes never give up, even when the going gets tough. That's what The Brevet is all about.